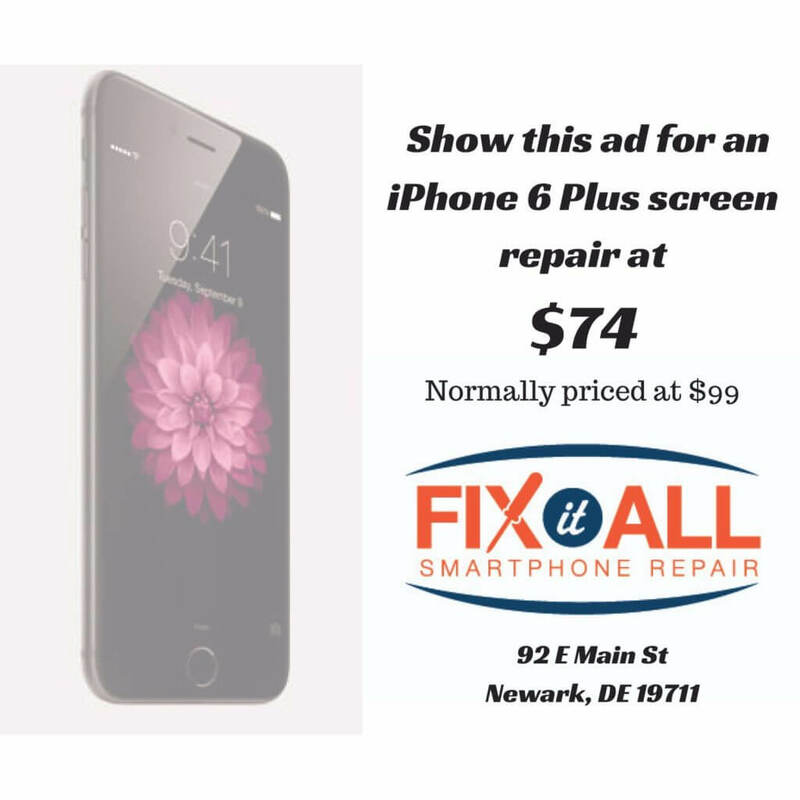 Fix It All Smartphone RepairNews & PromotionsUncategorizediPhone 6 Plus screen replacement for only $74? Yes Please! iPhone 6 Plus screen replacement for only $74? Yes Please! Own an iPhone 6 Plus? Live in or nearby Newark, Delaware? Like deals just like this? Follow us on Twitter and Facebook for updates, promotions and more!